Spoiler alert: I don't think I can give DiCarlo's any less than an A. Biased? Obvi. 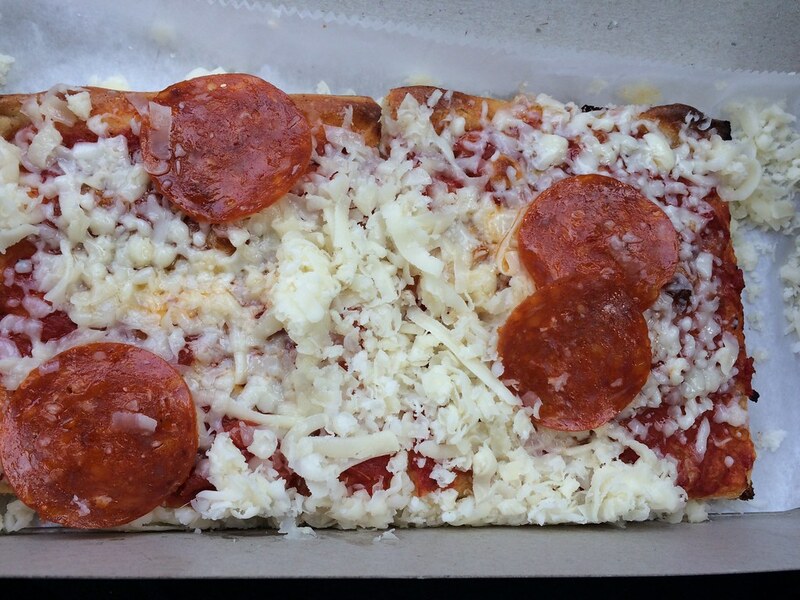 While in Wheeling, I decided to get two quick slices (or pieces, slices makes me think of triangular slices) from the DiCarlo's located on Main Street in Wheeling. 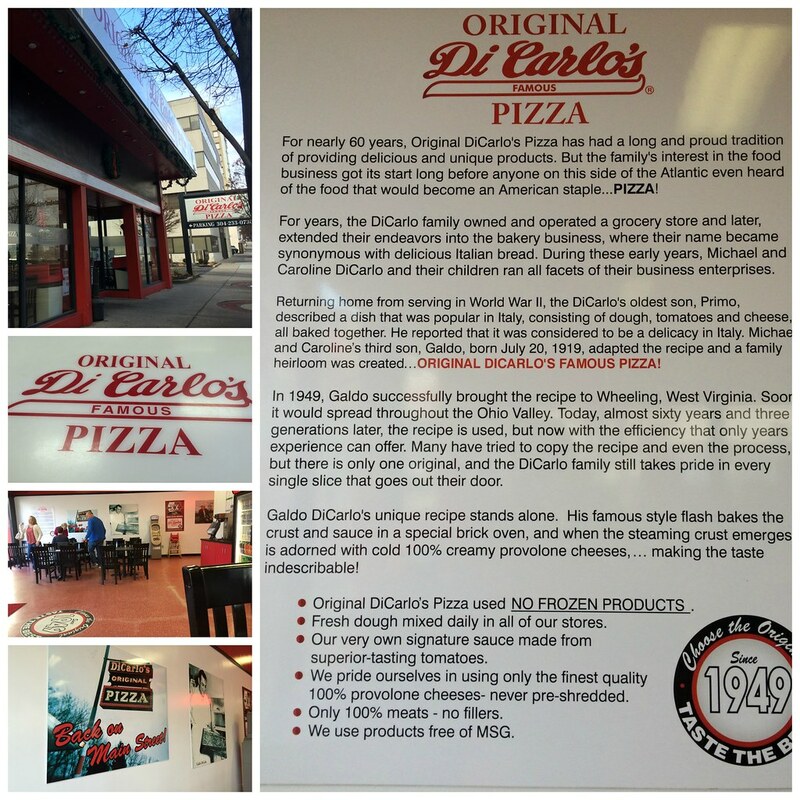 I had never been to this location -- or many of the others more south -- so new restaurant + it being DiCarlo's = dream. It's weird walking into this location; it feels like an actual restaurant. 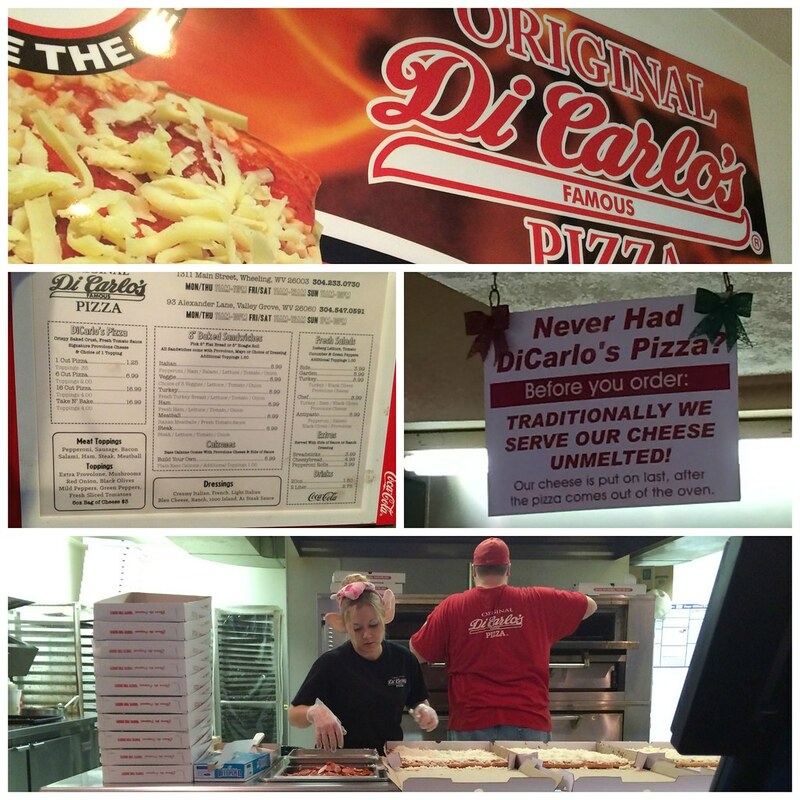 There is art on the walls of old DiCarlo's signs or folks working in the kitchen. There was even this nice little poster showcasing the history. Plus tables and people eating in. And space. 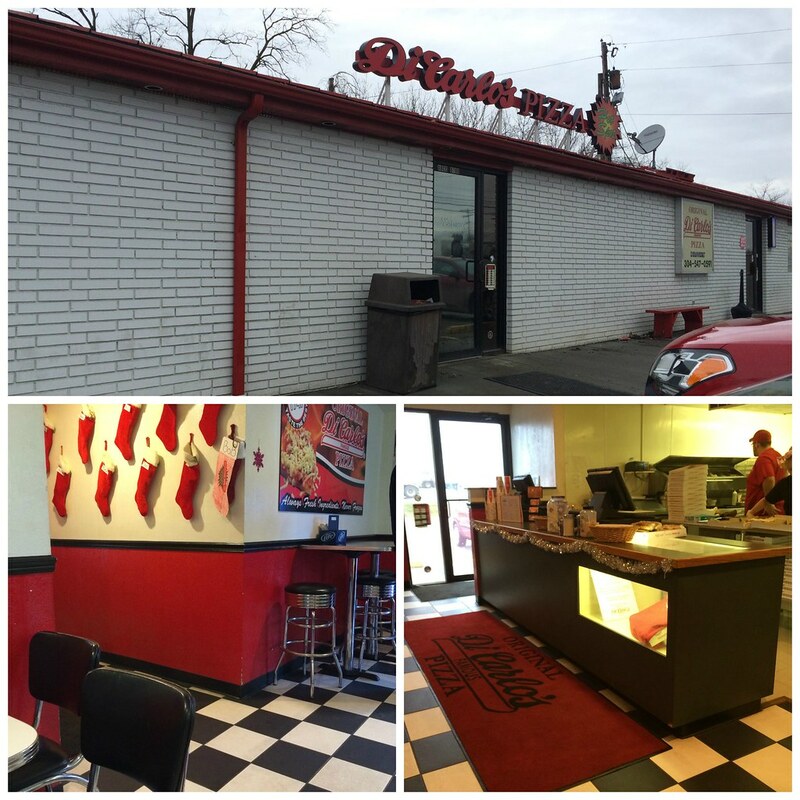 Talk about a change from the sparse, white walls and lack of tables at Wellsburg's DiCarlo's. I ordered at the counter and waited at a table for my order. Soon enough, a folded-over cardboard box tied with a rubberband housing two piping hot pieces of square pizza was in my hands. The beauty of DiCarlo's is the perfectly crisp crust, the well-seasoned sauce and the freshly grated mozzarella cheese that is tossed on at the end so it creates this very flavorful bite where you can actually taste the flavor of the cheese instead of it turning into this sort of flavorless, greasy elastic. My car wasn't far away, so I just in the drivers seat and unveiled this small piece of gold. As I opened the box, I could see it had already become steamy and cheese was melting. Not so fast, cheese. In my belly first. It's delicious. Crust was a bit crisper than Wellsburg's (my preferred location), but it's still perfection. I stopped in Wheeling to visit my mom at work and we grabbed a quick lunch. 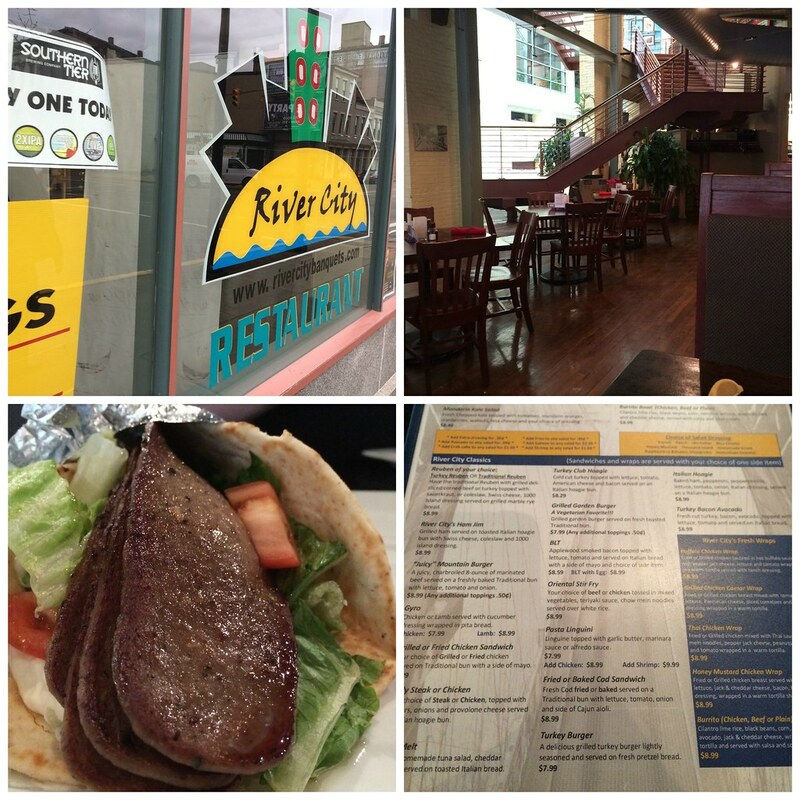 River City Restaurant & Bar is just down the block from her, so we popped in for a quick bite. The entrance is kind of elaborate - sprawling open area with staircases leading to upper floors. The entryway was lined with a handful of Christmas trees. Dark wooden floors, chairs and tables lined the interior. The spacious area housed a few dining areas - near the bar and also in the back for seating. I quickly skimmed the menu since we were rushing to do everything within an hour. They have some pretty typical sandwiches - tuna melt, BLTs, reubens. Nothing really too interesting caught my eye. Mom is a huge fan of the chicken tortilla soup, so she had some of that, along with a lamb gyro. I ordered a turkey club hoagie with a side of hush puppies. I figured that since the sandwiches are pretty simple, maybe they'll just be done really well. So, it was OK. 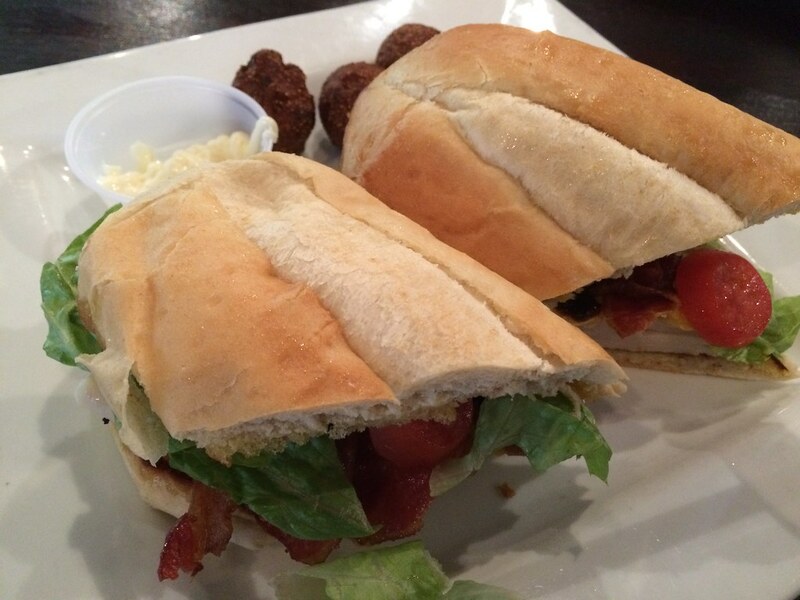 The bread tasted store-bought, and the turkey, lettuce and bacon were all average. The tomatoes were sliced cherry tomatoes, so they were small and kept falling off the sandwich. That was odd. Why not have full slices so you get some tomato with each bite of sandwich? Mayo was squirted into a cup on the side, which wasn't super appealing. My hushpuppies numbered four, I think. And not a ton of flavor there or a dipping sauce. Overall, it was average. Not bad, but nothing creative or something I couldn't slap together on my own. Thoughts to make this better: freshly baked bread, some other type of lettuce (spring mix? ), whole tomatoes and a sauce - mix that mayo with a pesto or something. Or maybe a quick homemade Italian. Or maybe a balsamic. Otherwise, pretty average lunch. But with my favorite person - so that made for a nice time. 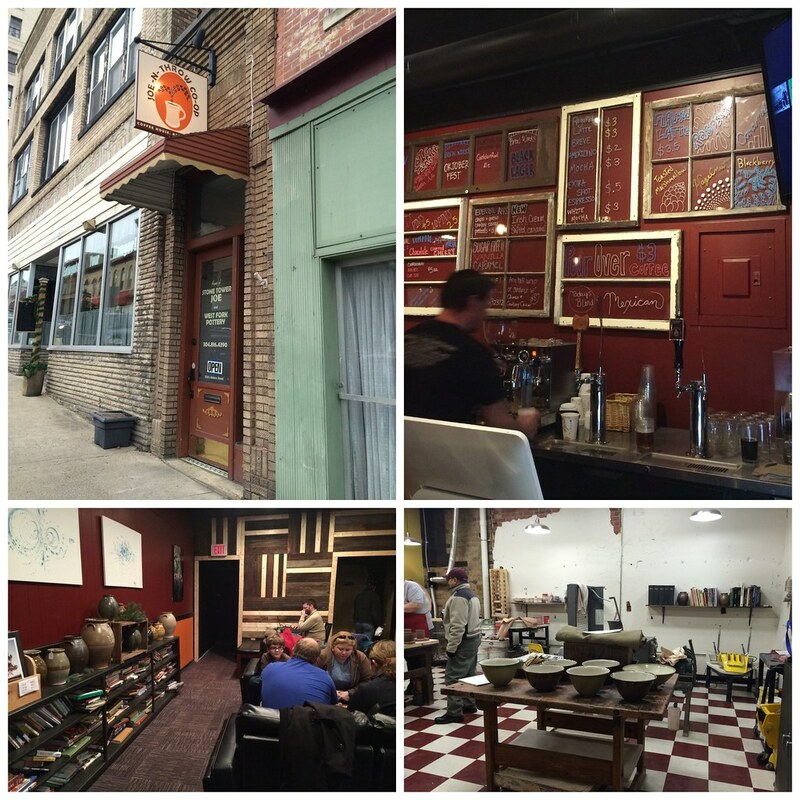 I've heard so many good things about Joe-N-Throw in Fairmont - a coffee house/pottery studio that serves up beer, sandwiches and local art. Does that sound like a place fit for me or what? While I was in Fairmont, I passed this place, not realizing where it was, and vowed to eat there while in town for the day. After the festival, we did just that. After perusing the menu (which looked tasty), we realized we arrived just after 2 p.m., and lunch was no longer being offered. Total bummer. That's OK, though, because they have muffins and other tasty pastries to accompany your coffee (or beer, no one is judging here). 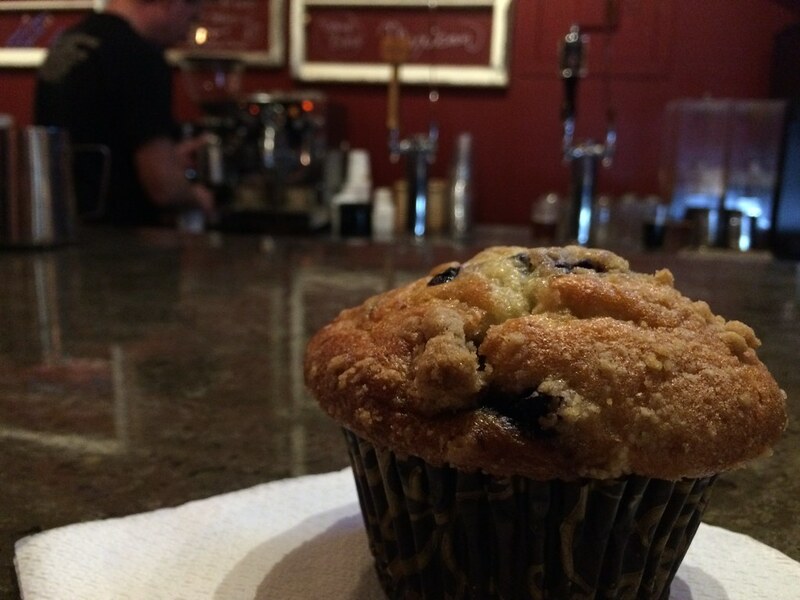 I ordered their last gigantic blueberry muffin in the case along with a cafe mocha. This muffin was gigantic and probably 1,000 calories, but it was delicious. I'm assuming freshly baked that morning. My coffee was good, too, and a nice little pick-me-up on a cold day. I only needed a few sips, though, to feel all the caffeine I needed for the day. 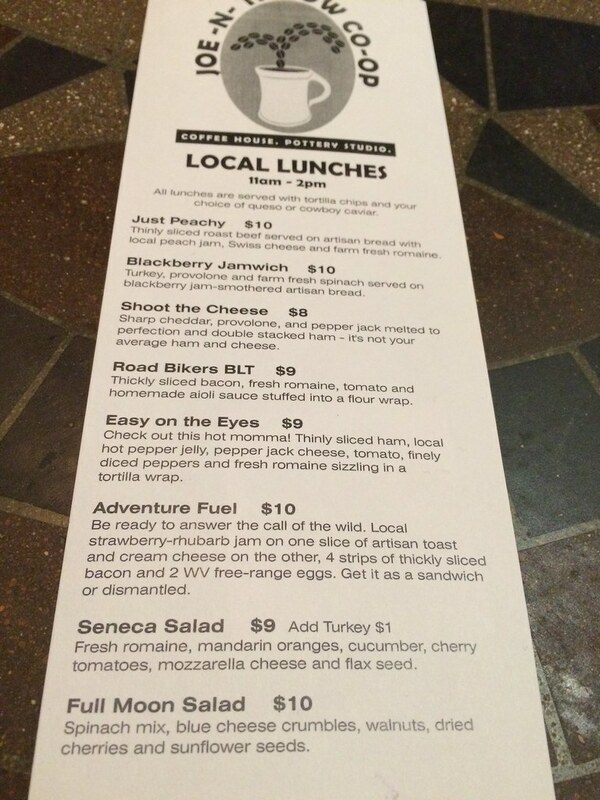 So, let's go through the list here: tasty, creative sandwiches. Check. Homemade pastries. Check. Local beer. Check. Coffee. Check. Plus lots of local art, pottery and just a really cool, laidback coffee shop atmosphere. If you live in Fairmont, go here every day. For me. When Afton and I went to Bridgeport to stop at our closest Sephora, we stopped to get dinner at Mia Margherita. It was an odd experience. Where I was seated, I was facing an open area where the staff were just kind of standing around in the dining area waiting on people as they came in. It was super awkward to just be facing these people as they're talking. And the service was a bit off. We started off with fried calamari, but I think our waitress tried to give it to the table next to us first. 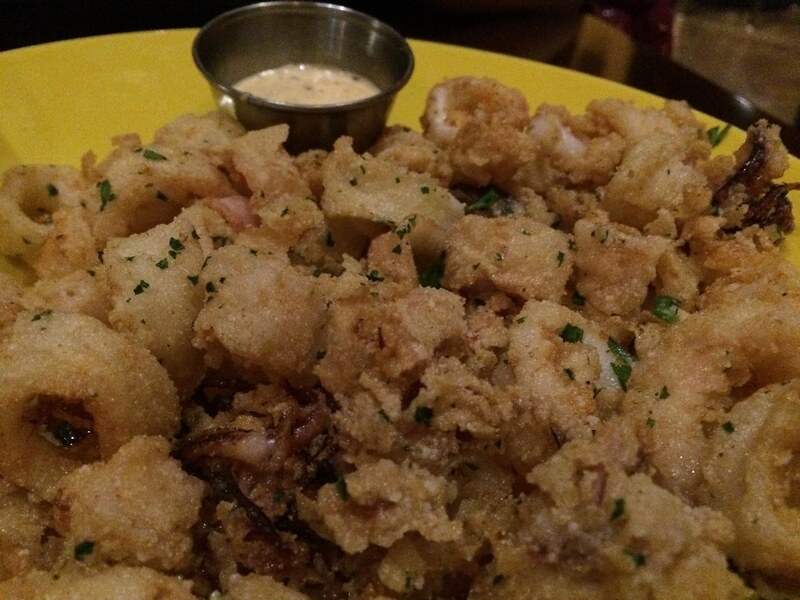 I'm not generally a huge fan of calamari, and this was really no different. There was a lemon cream dipping sauce that didn't do much for me, but underneath, there was this sweet and sour sauce I liked much better. But still, just kind of soggy, greasy chewy bits. For our main entrees, we actually ordered two and split them. 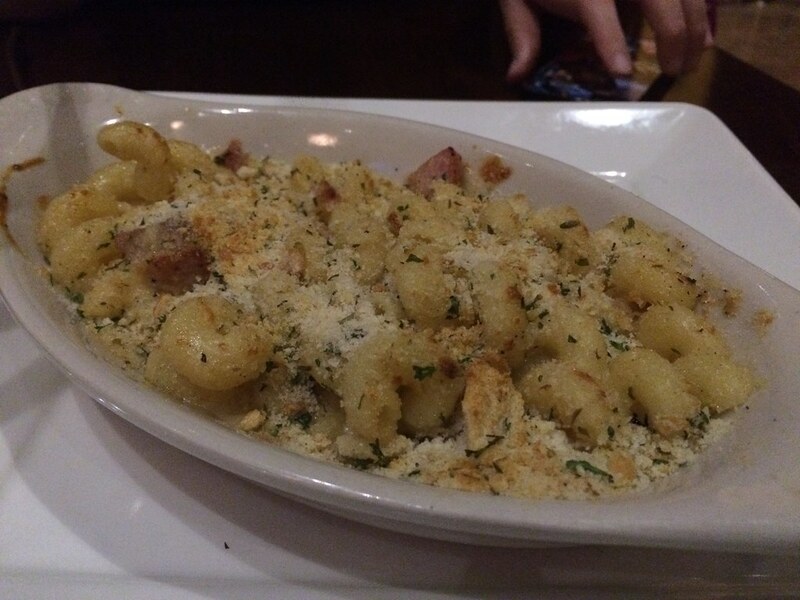 First, we had the gorgonzola mac and cheese, because how could you not? Creamy gorgonzola, pancetta, capicolla, garlic and herb breadcrumbs. For an entree portion, I guess I was expecting it to be much larger. The flavor was OK. Got a bit of that kick. The breadcrumbs were just kind of on top; they could've been baked in more so that when you breathe in, you don't inhale all of it. We each ate half, and my tummy was still rumbling. The other dish we ordered was a small West Virginia via San Francisco pizza. 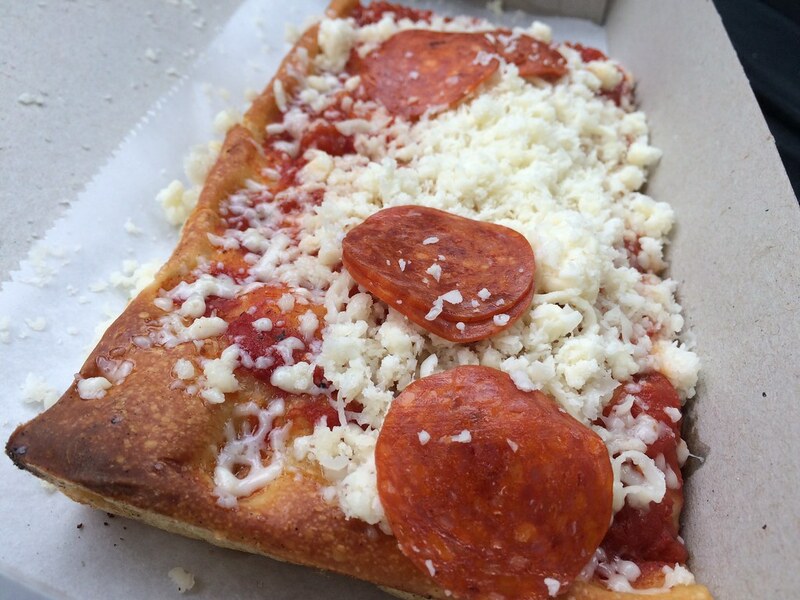 It has pepperoni, sausage, mozzarella, ricotta and parmigiano reggiano. This pizza wasn't bad. The dollops of ricotta could've been more strategic so you actually get some in each bite. 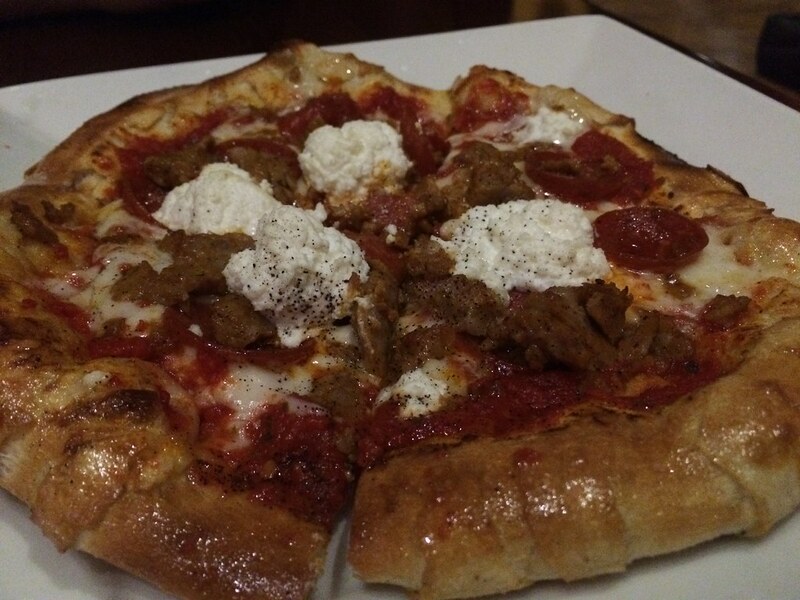 Otherwise, it's kind of a regular pizza with sausage. I did like the sauce, though, and the bites with ricotta were pretty good. With just half the macaroni and cheese and half the smallest pizza, I was still pretty hungry. So I got dessert, too. 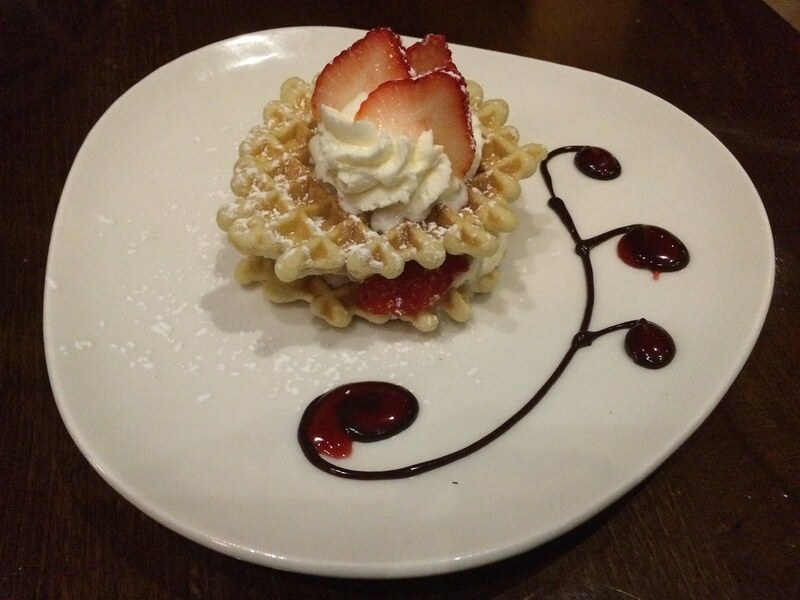 I ordered the warm gallettes napoleon, which is a fresh-baked Italian cookie, vanilla ice cream and chocolate sauce. First of all, there's no ice cream. It's more like a whipped cream. It was good, though. The dark chocolate part I wasn't crazy about, but the cookie itself was tasty. Chilled and a little hard, but a light sweetness I enjoyed. So maybe it was because it was coming on the heels of a really great Italian dinner I had recently. Or maybe it was just because the service and atmosphere were a bit off, but I wasn't super impressed. It was pretty average to me. Plus I was still hungry when I left - despite having shelled out more than $20. Meh, I don't know. Maybe another time. The Feast of the Seven Fishes is an Italian celebration on Christmas Eve that features dishes made with fish and seafood. 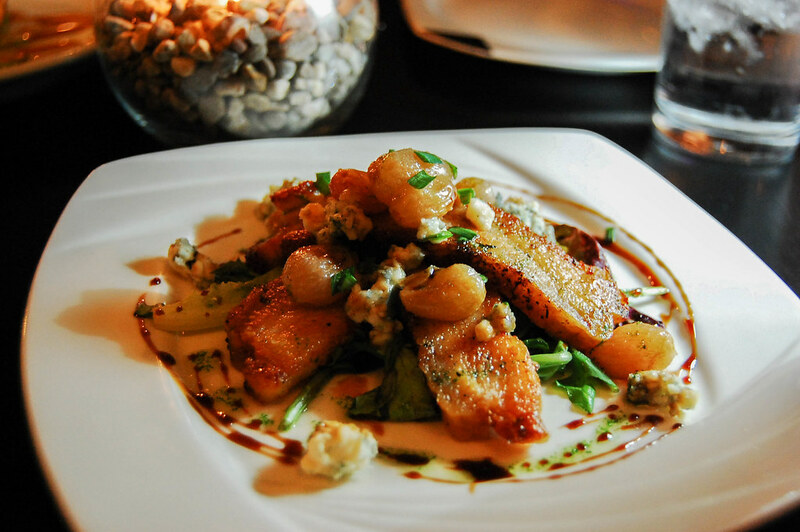 Seven dishes (sometimes more) are prepared using seafood. While I didn't see anything starting particular dishes are required, there are definitely some popular ones, like fried smelts, fish stew and more. North Central West Virginia has a large Italian population, so it makes sense to have a festival honoring this tradition in Fairmont. I'm told the festival came to be because of a book, or graphic novel, that showcased a family cooking fish on Christmas Eve. The book spearheaded the launch of the festival and celebration of the Italian heritage. 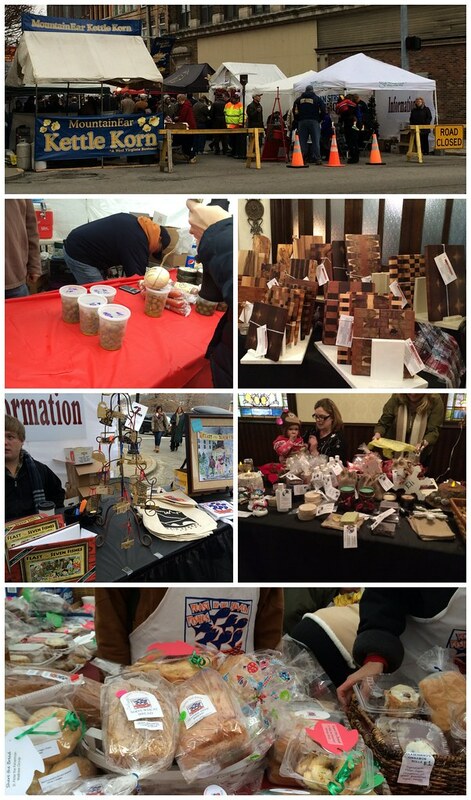 The Feast of the Seven Fishes festival was held on Adams Street in downtown Fairmont this past Saturday (Dec. 13). There's no fee to get in, but the vendors all have wares and food for sale. Entertainment from 10 a.m. to 5 p.m. included Benjamin DeFazio, Jenna Won't Sing and 5 Guys Named Moe. They have a "cooking school" as part of the festival, which are demonstrations that feature eight classic Italian dishes prepared by local chefs. 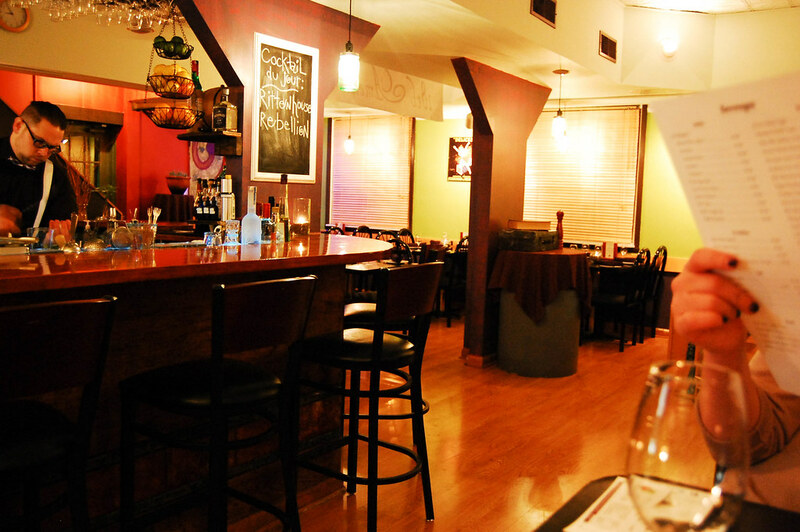 Tickets for those were $20 per person and included samples of dishes and a glass of wine. 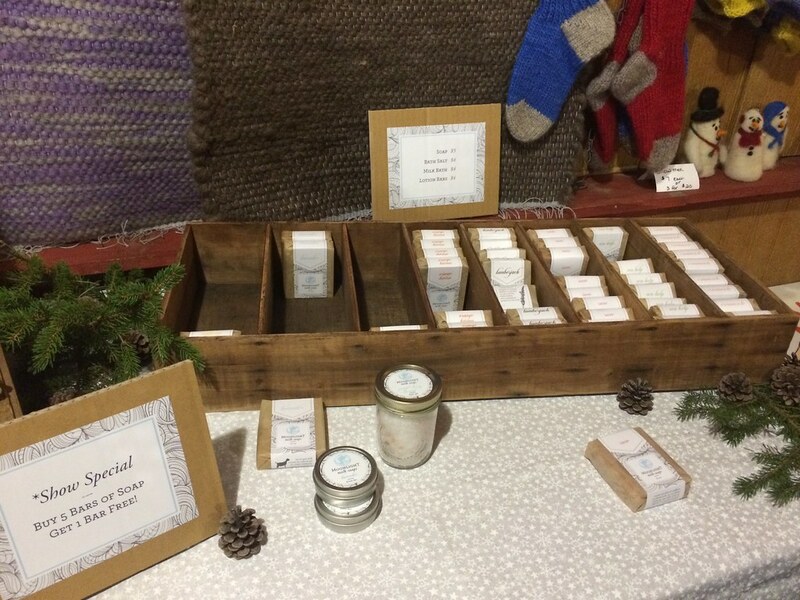 A holiday artisan market was held indoors and had pottery, cutting boards, baking supplies, soaps and lotions, as well as coffee and cookies at the cafe area. 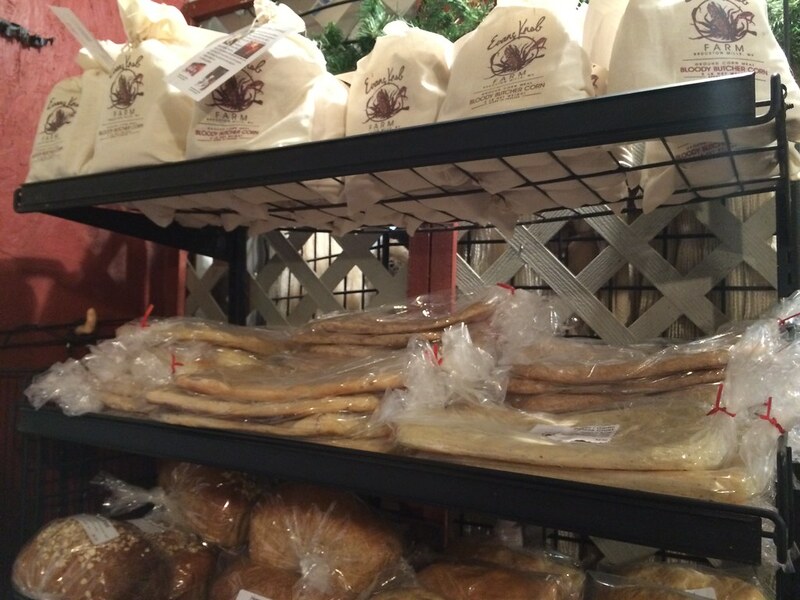 Street vendors had everything from steak hoagies to kettle corn to cannolis to baked goods. This is where I was really searched for those seafood dishes. The most I found was crab soup, lobster ravioli, fried calamari and seafood chowder. Not quite seven. Lisa did buy one dish - just to have a taste of the Seven Fishes - from Heston Farms Foxfire Restaurant. 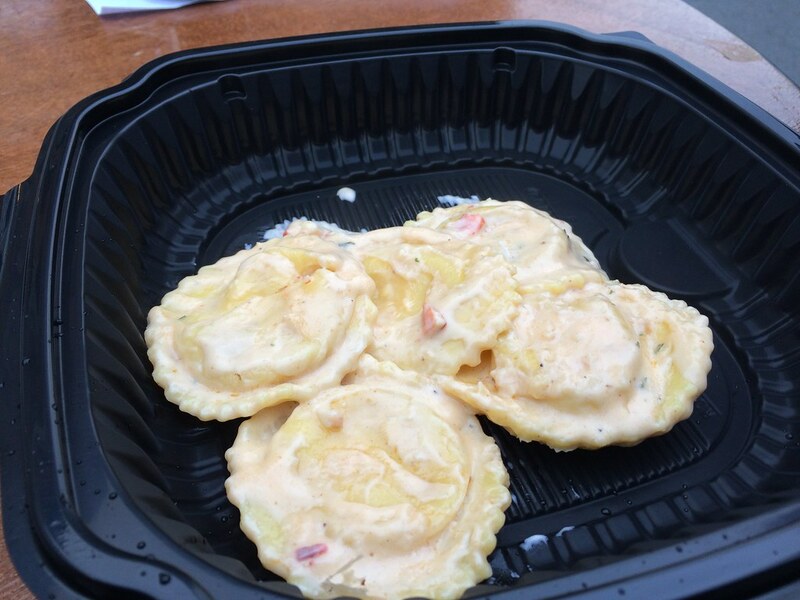 We got the lobster ravioli for $7. It was pretty tasty, though not quite impressive with the five or so raviolis. It was very good, though. If you're willing to brave a very chilly mid-December Saturday to check out the festival, it is a nice little getaway. 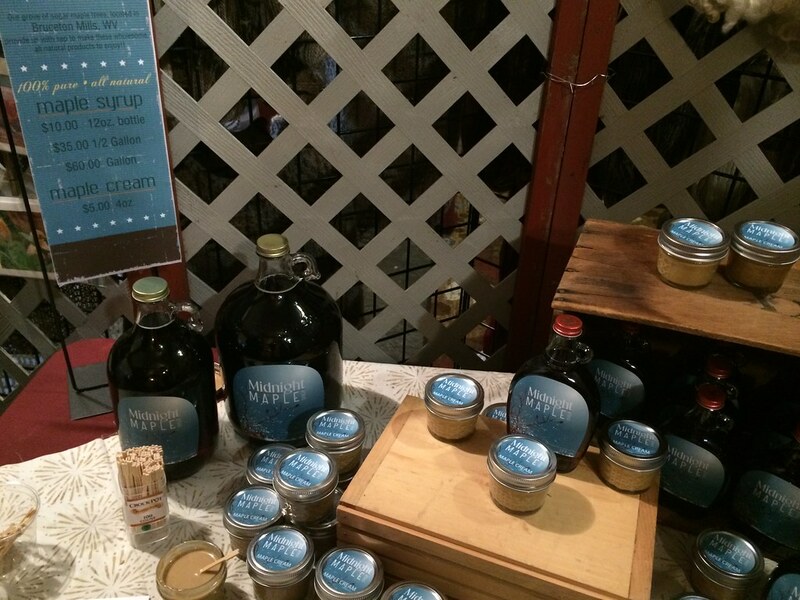 Plus it's a great chance to learn about new artisans in the area and get some very tasty grub! 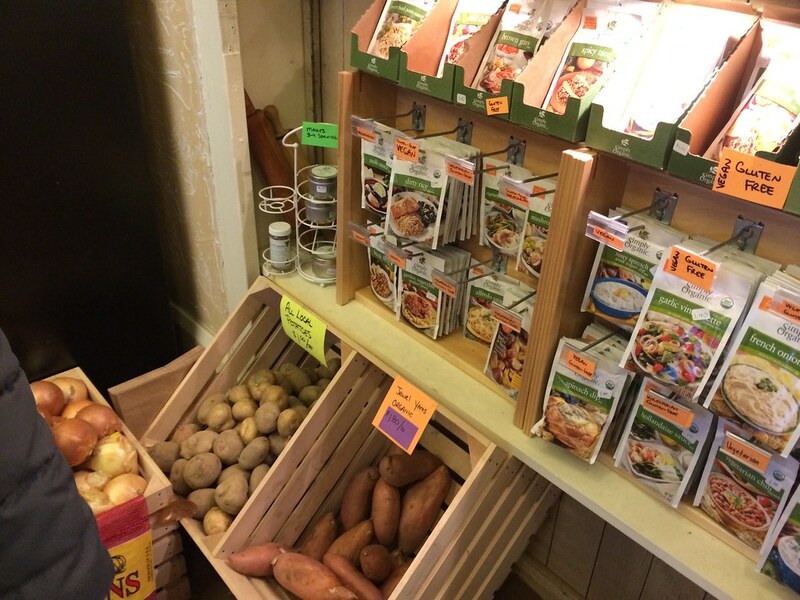 While in Fairmont, Lisa and I stumbled upon All Things Herbal. 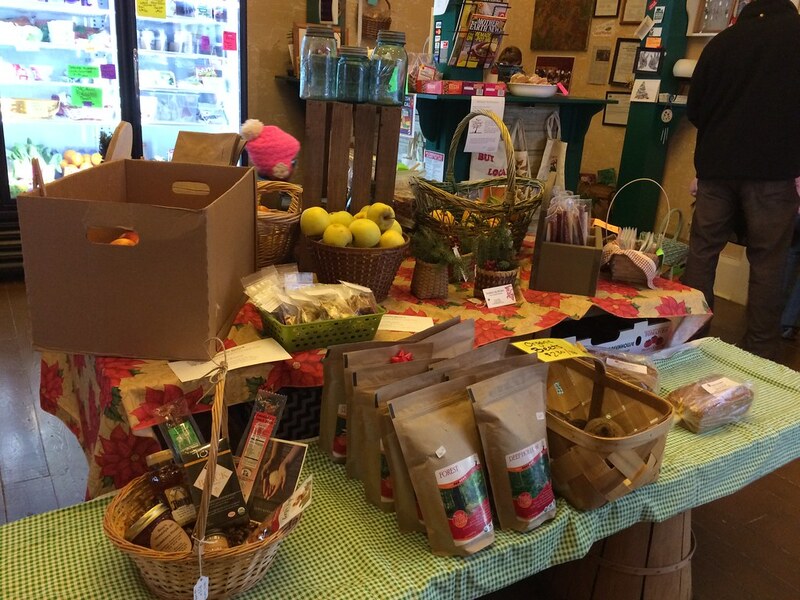 This little market has local, organically grown meat, produce, eggs and dairy, as well as herbs, yoga and local artisan products. It's just a super cool little place, and if you get the chance, you should totally check it out. Bar food is a class all its own. It's fried, it's simple, and it's tasty - especially after a few beers. My friend Sher mentioned The Angry Beaver a while back because he knows the owner. 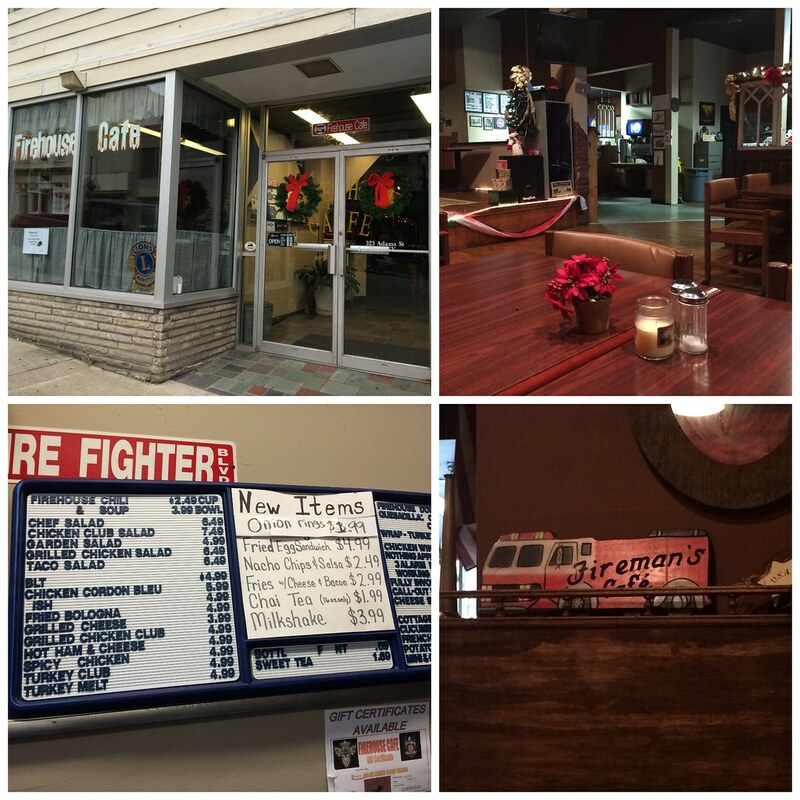 It is located in Westover, in the same lot as the Barside Grill. This used to be Weezies, I believe, and the spinoff pizza place Michael's Pizzeria. If you are familiar with the bar Weezies, you will understand why this place is named The Angry Beaver. Yes, it's what you're thinking. Anyway, we went early enough for a quick dinner. I'll try just about anywhere once - you never know! 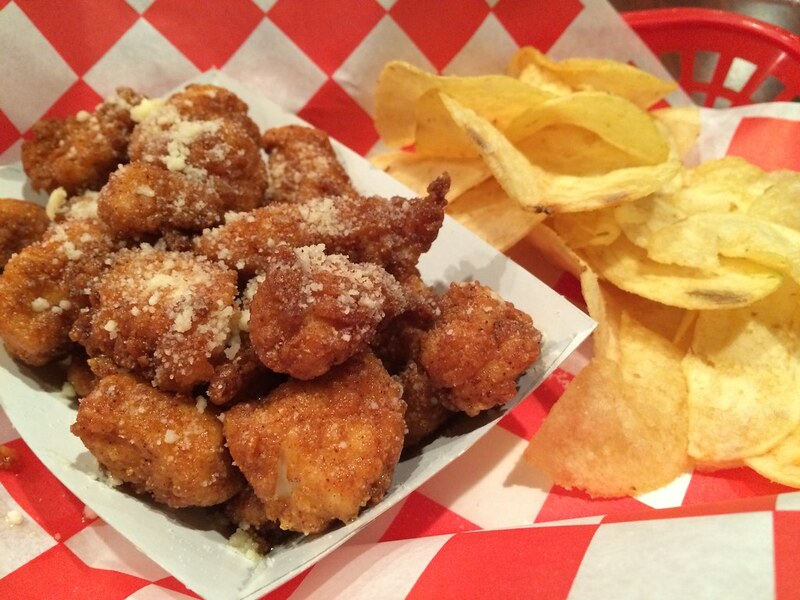 They have the kind of typical fried appetizers - fries, cheese sticks - and sandwiches - Italian, Philly and cheese. Nothing too crazy. 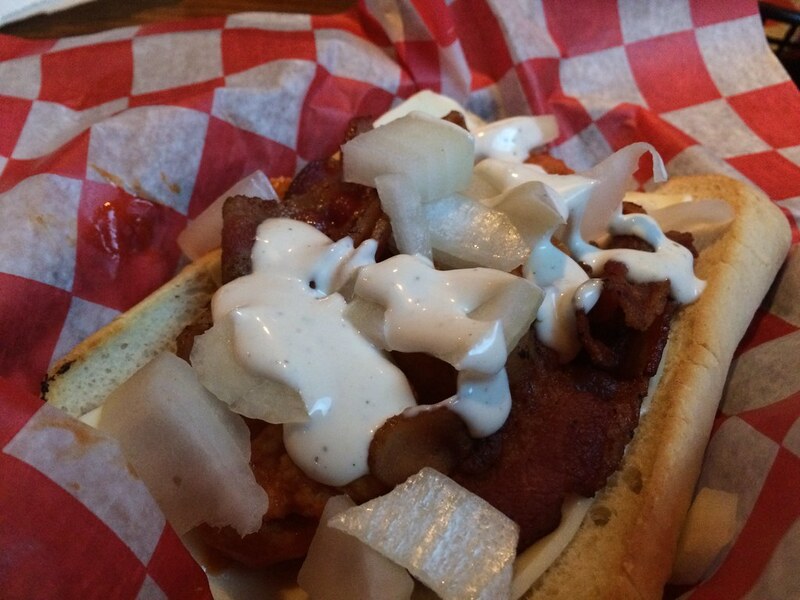 I ordered the buffalo chicken ranch, which comes with onion, bacon and pepper jack cheese. Just one woman was working, but she was nice and attentive. Before long, our plates came out. My sandwich had these ginormous chunks of onion, so I ditched about half of them. But after that, it was actually pretty good. 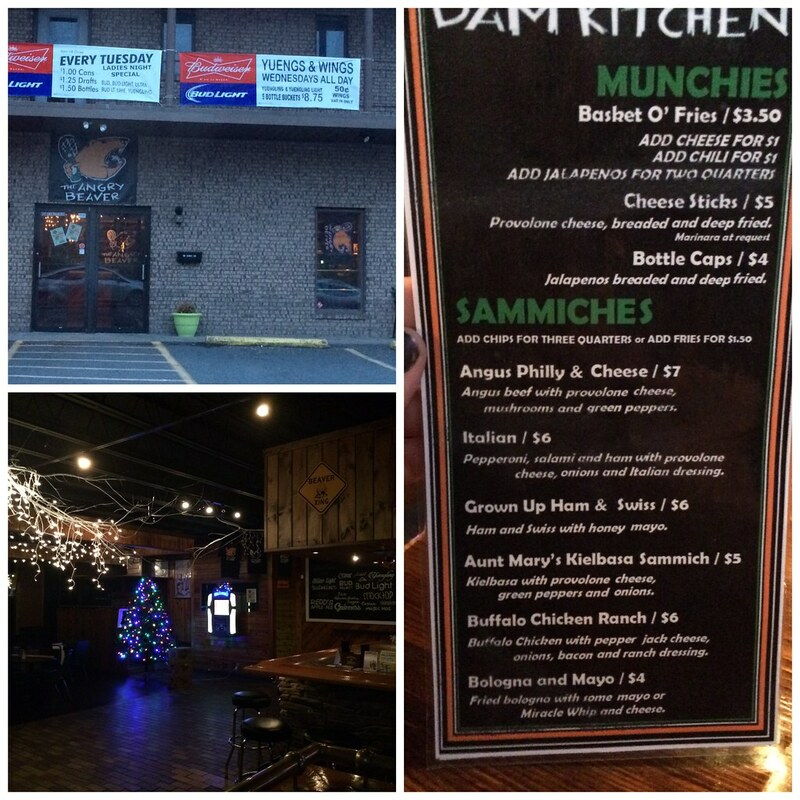 Bar food, yes, but it hits that buffalo chicken/ranch craving I've been having. Overall, average. 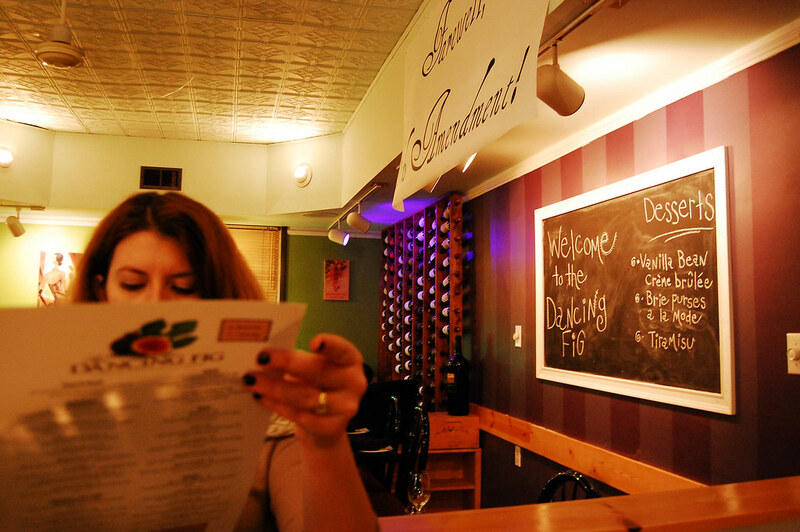 The Dancing Fig was located on High Street (formerly Wesbanco turned Lira turned The Dancing Fig turned The Bank at 344), and now it is on University Avenue (in former Zenclay Cafe location). They're billed as Italian fusion, and I went during their grand opening. Later in the night, they were having a prohibition-themed party. We went early on, though, to get a taste of the regular menu. Parking is free here, but a bit precarious. At least they have a lot - one right near the building and the other across University Avenue. It's not bad, though. Their hours are 7 a.m.-2 p.m. and 4:30-10 p.m. Wednesday through Friday; 4:30-11 p.m. Saturday; 11 a.m. to 3 p.m. for brunch on Sunday. Closed Monday and Tuesday. So make sure you check the hours before you head out. We were there early that evening and were seated at a high top. The space is fairly small, so I imagine it can get full pretty quickly. Because we were there early, it was mostly empty. As we went through the course of the meal, the restaurant did begin to fill up a bit. The interior is lovely, laidback and cool - yet elegant. 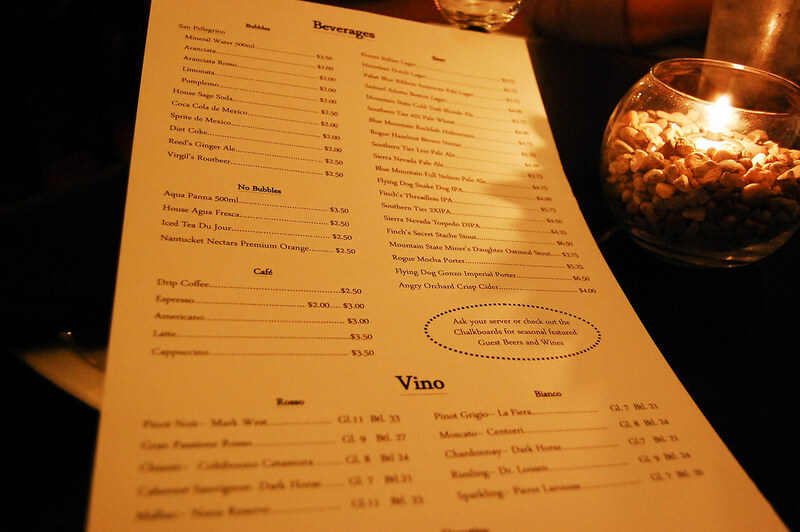 They have a focus on the drinks, as well, though I didn't indulge this night. Our server was fantastic and super helpful. We put in two appetizers: the pork belly with roasted grapes, bleu cheese and arugula salad AND brie cheese purses with puff pasty, brie cheese and fig preserve. The pork belly was awesome. Nice sear and crisp on the outside and tender inside. One thousand times better than bacon. The sweetness of roasted grapes and crunch of arugula was perfect. Plus there was like this balsamic and pesto - some acid and sweet and an awesome combo of textures. 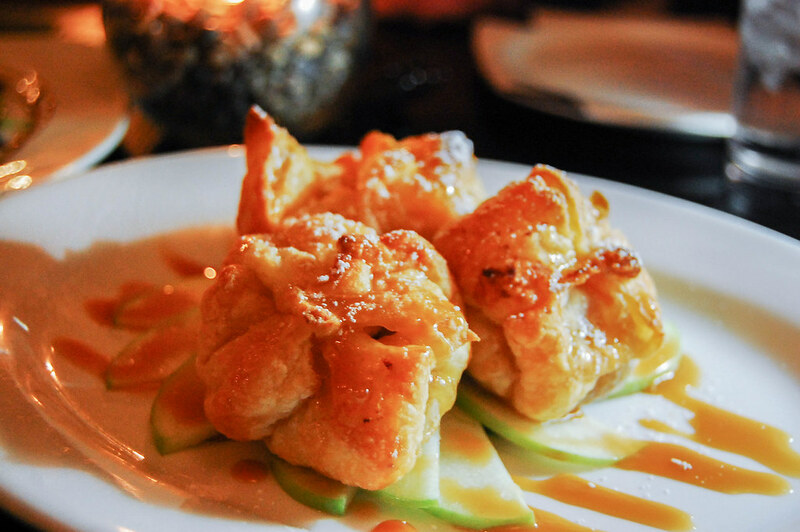 The brie cheese purses seemed more of a puff pastry with caramel sauce and the preserves. I tasted little (if any) brie cheese. That's not to say these weren't good. They were very good, but they were like a dessert and sans the cheese flavor. Still, though, a tasty puff pastry with delicious caramel and preserves. Good. With my entree, I got a house salad, which had greens, tomato, red onion, bleu cheese and a basil balsamic dressing. 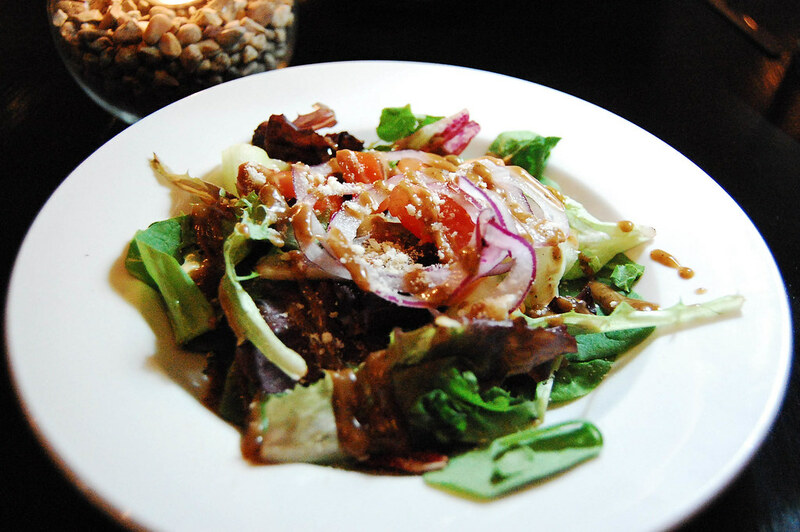 I'm a big fan of their house salad because it packs some flavor. Love their house dressing and fresh ingredients. I also just want to make note of the pace of the meal at this point. Each was brought out at perfect timing - some breathing room between plates, and really gave us a nice experience. They have some new menu items as well as the older ones. 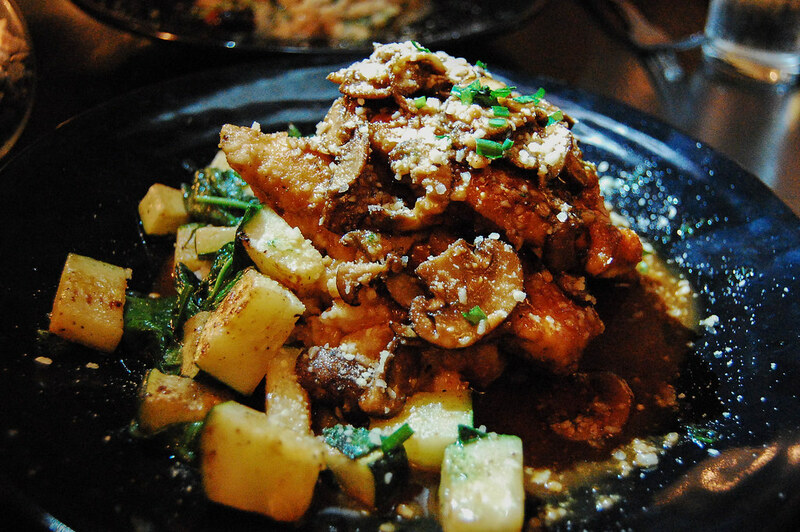 Okay, main entree was chicken marsala, at the recommendation of the server, which is Italian-breaded chicken, wild mushrooms, marsala wine and demi glace with zucchini and mashed potatoes. I don't typically order chicken at new places, but this has changed my world. It was a huge portion, first of all. And it was so well-thought out. Different components combined to make a truly well-rounded dish with a nice roasted veggie and smooth mashed potatoes with a nicely breaded chicken. Plus a delicious marsala sauce that I need on all my mushrooms for the rest of time. Our whole meal was so delicious, so we went for dessert. 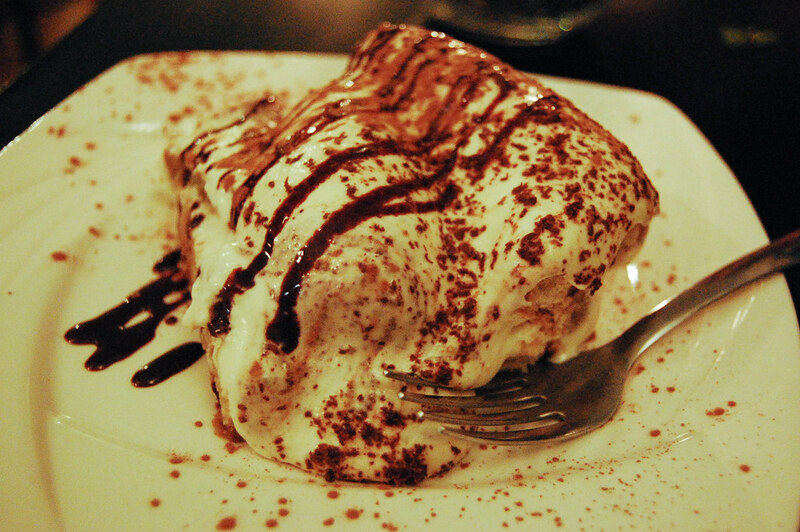 Tiramisu took a little longer than I expected, but it was worth it. A huge portion just drowning in whipped cream and cocoa powder. So good. The Dancing Fig nailed this meal. Like, I can't wait to go back. Like, is up there in my top restaurants right now because between the vibe I got from this place, combined with the awesome service, unique drinks and just delicious food, I'm not really sure what more you can ask for. Plus large portions for a more upscale place. I feel as thought they've gotten more into their groove here, dishing out incredible food in an even better environment. I hope they're a mainstay for years to come. Lisa, who up until recently managed the Morgantown Farmers Market, let me tag along with her to the 2014 Preston County Fiber Artist Holiday Open House. A few of her vendors from the market put it on - mostly those who are in the Preston County area and have some "fiber" connection. Fiber is, I've learned, kind of this generic term for natural wool, cotton, etc. So, for example, folks who raise sheep, and make hats or Christmas ornaments from their wool or milk. Anyway, this was perfect because I'm always looking for good stories and was interested in learning more about the individual vendors at the market. And a good handful of them were there. AND the lady whose house we went to, Kelly Anderson, she had Karakachan guard dog puppies, and they were the cutest things I've ever seen. Kelly has the her farm "Hopping Acres," where she has rare breeds of sheep, dogs and rabbits. "Lady Baa Baa." 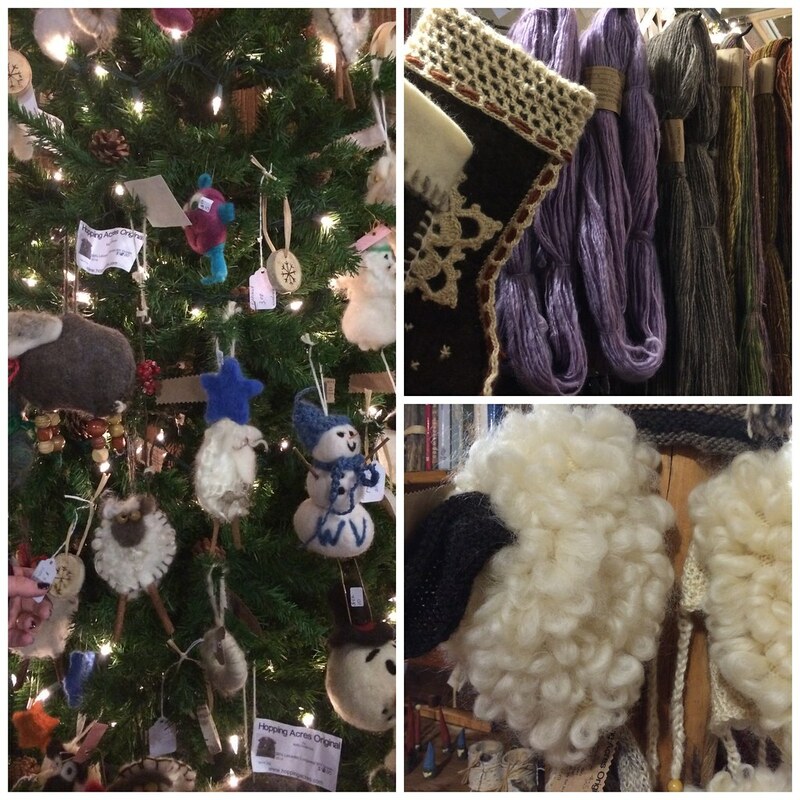 She collects wool from the sheep and rabbits, spins it into yarn and creates ornaments and other cute hats or mittens. In addition to her farm, she bakes under the "Lady Baa Baa" label. 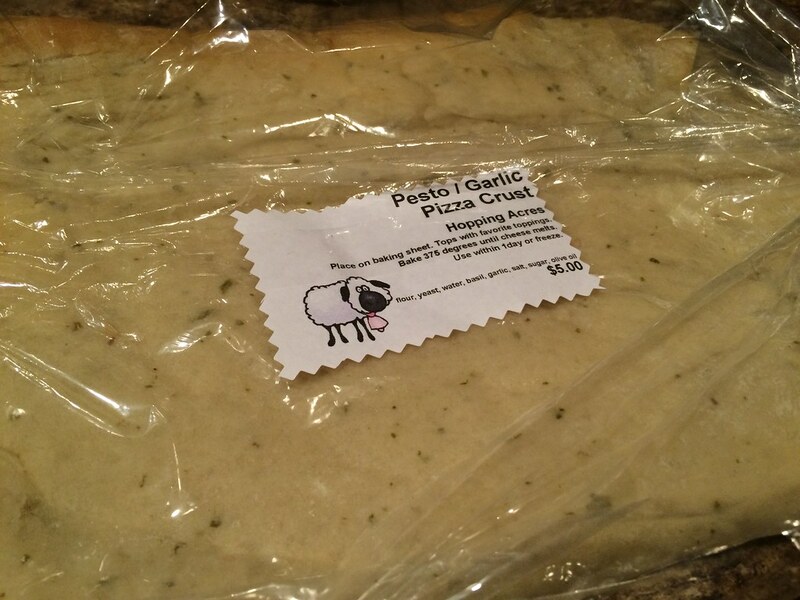 She has these tasty pizza crusts, which I just used to make a pizza recently. So tasty. 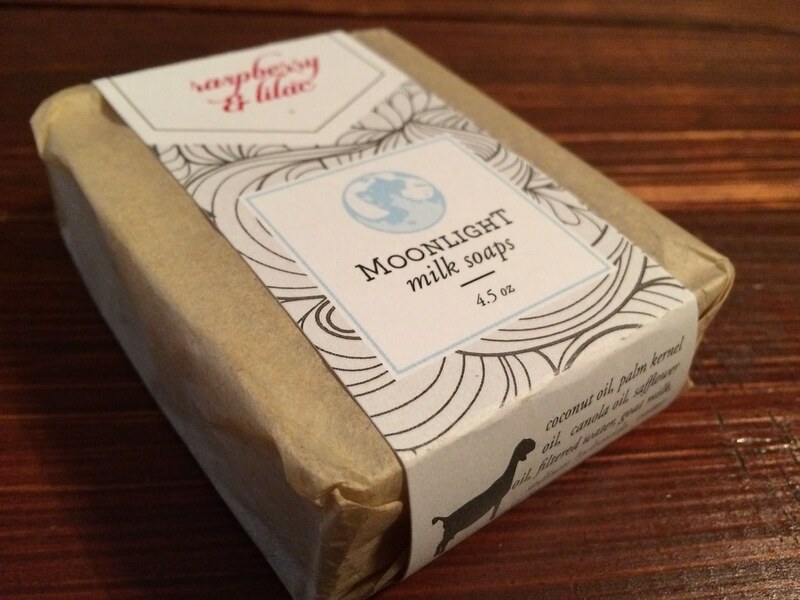 Another vendor is Moonlight Milk Soaps, which was previously named Two Cousins Soap, by Kim Sheets. These soaps are so great! I had to buy one - the raspberry & lilac scent was my favorite. But they also had lavender, orange, rose, sea kelp, creamsicle and more. 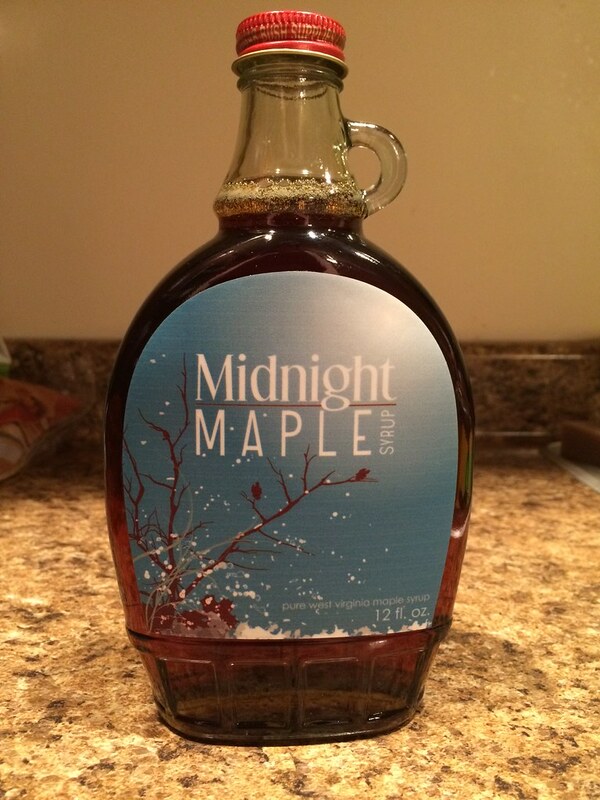 Kim's husband, AJ, also had a hand in the show with Midnight Maple Syrup and maple cream. I had to get one of each because after trying a sample of the maple cream, I was hooked. 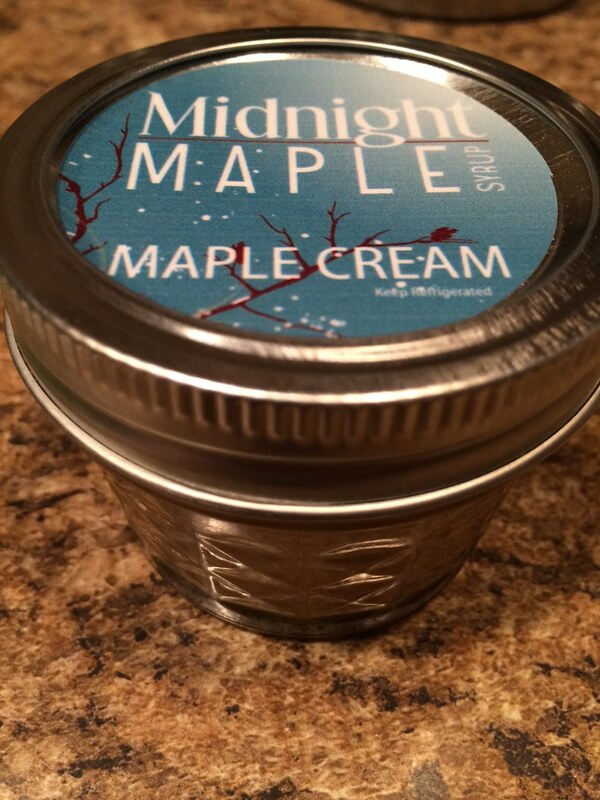 When I'm not just nibbling on the maple cream plain, it's great on toast or would be perfect for cinnamon buns or bread pudding. 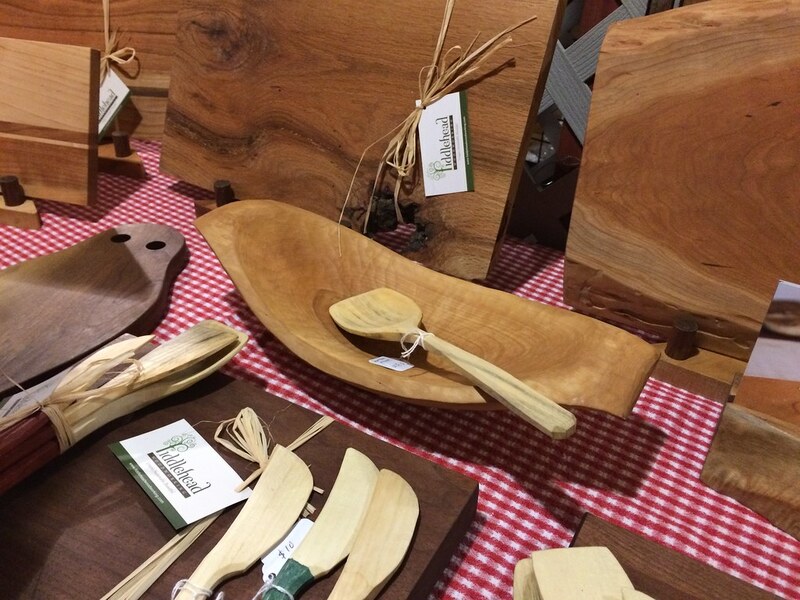 Fiddlehead Woodworking makes really cool, handmade wooden spoons, cutting boards, butter knives, bookends and more. I was really wanting a cool wooden spoon, so my splurge of the day was on that one right in the middle of the bowl there. But I can't wait to use it for soups and stews. 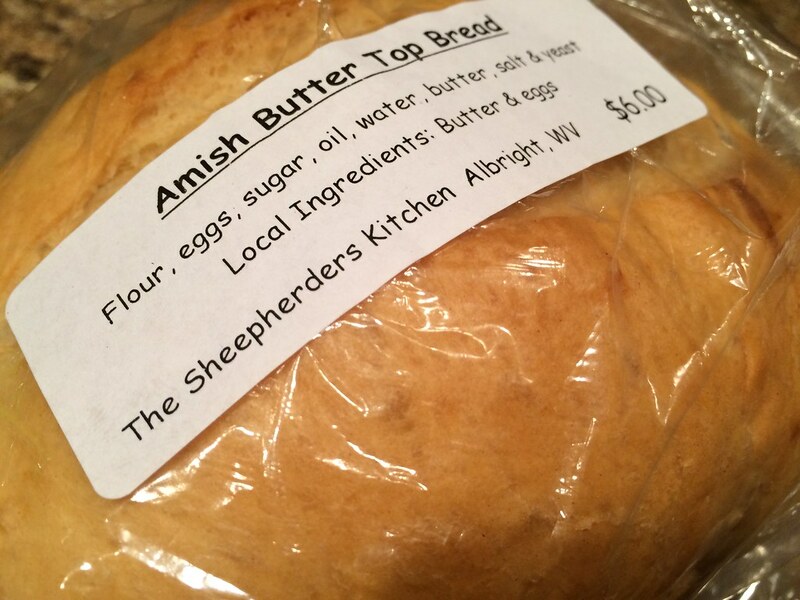 The Sheepherders Kitchen, by Joan Henry, has so many goodies: baked goods, preserves, jams and jellies, plus fiber/woolen items and more. 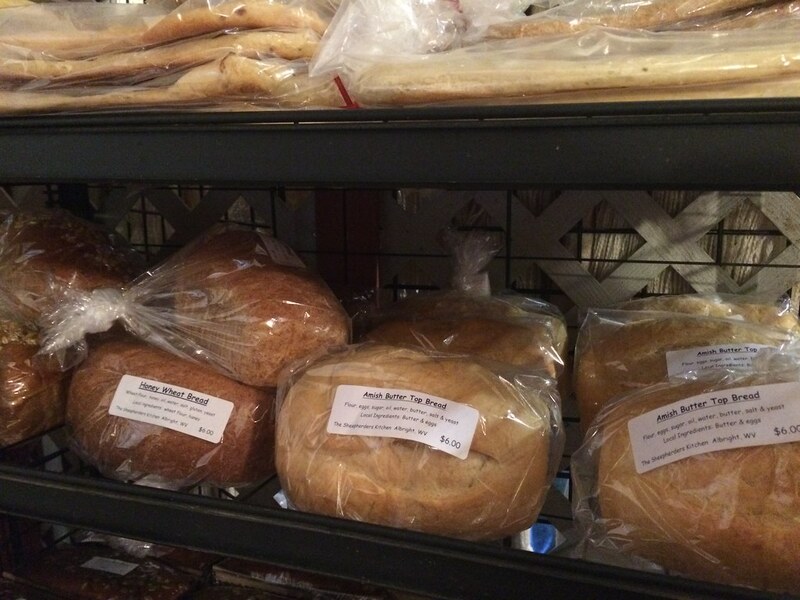 During this trip, I got some banana nut bread and Amish butter top bread for sandwiches. 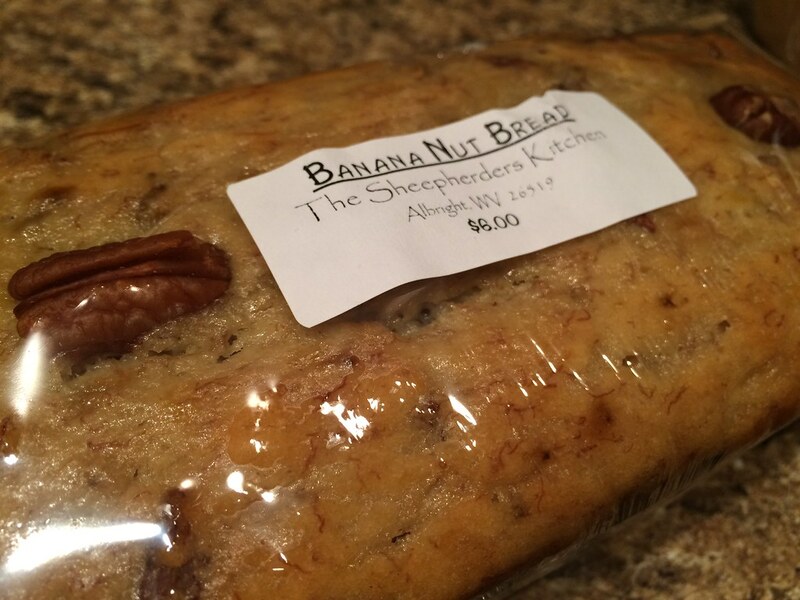 The banana nut bread was perfect for breakfast. Evans Knob Farm had some jams I could just not pass up. 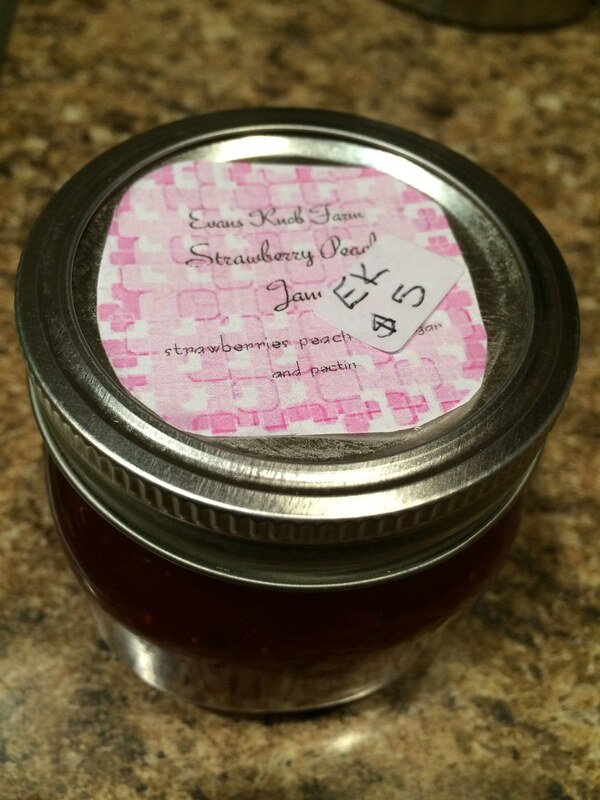 Strawberry peach jam? Sign me up. This goes perfectly on toasted Amish Butter Top bread. They sell vegetables, poultry, eggs, lamb and other wool products. Plus they have their own CSA if you're a big fan. So there's a little bit on some of the vendors who frequent the market - plus this super cool event they have yearly during the first weekend of December. 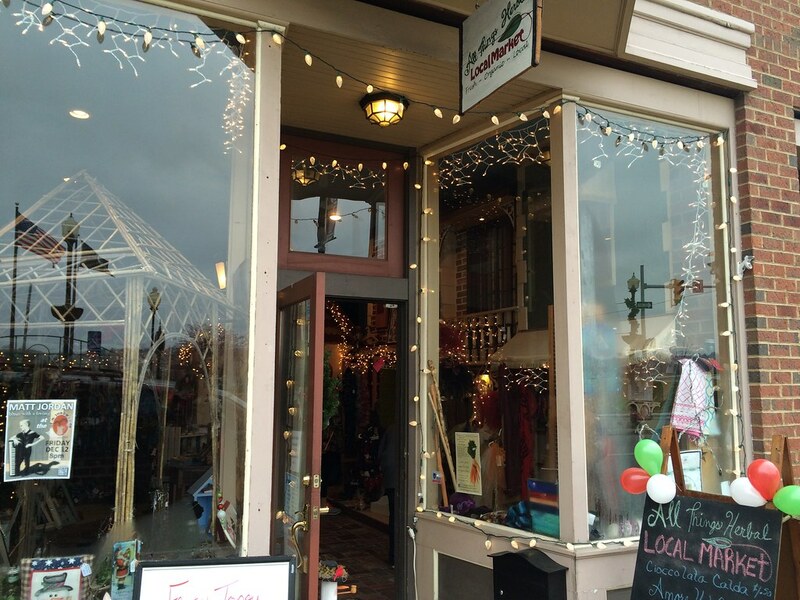 Definitely a good time to pick up some gifts for the holidays, meet the artisans and put some money back into the local economy. Did anyone go? Anybody get anything great?